In the Suitcase: Israel, for free! Adults between 18 and 27 and can prove their Jewish background are eligible to apply; those who have never traveled before on an educational tour of Israel, and those who have not lived in Israel past the age of 12 can also apply. I’m not quite sure why 27 is the magic age, but it just is, worldwide. 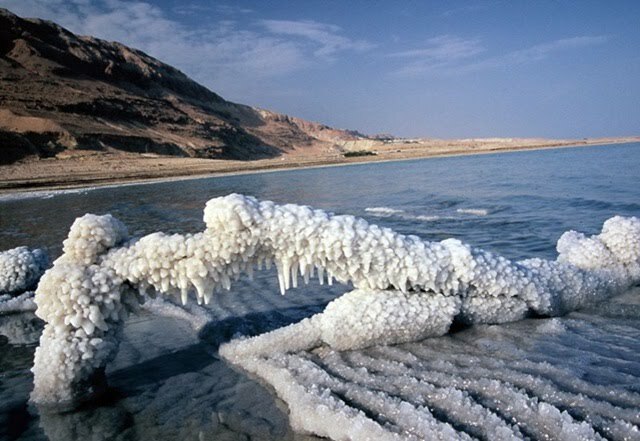 Those who get placed spend 10 days visiting the Western Wall, Yad Vashem, floating around in the Dead Sea, and tour through Jerusalem, Tel Aviv, the Galilee, and all other places I have yet to visit myself. They also get the local flavor by meeting other Jewish locals to learn more about their heritage. Jon, who went on a different program during college, also went spelunking through some of Israel’s unique caverns and natural rock formations. Two of my friends met on Birthright and married several years later. It’s an incredible experience, I’ve heard from many, that non-Jewish tourists like myself will likely never get to have, though my own kids will have the opportunity. The program is very strict about safety and does not allow participants to wander off on their own, ride public transportation, visit other people on their own, or anything beyond the planned itinerary. How to apply: Go to http://www.birthrightisrael.com for information. Flights depart from multiple cities around the U.S. and Canada. A $250 deposit is required and refunded after the trip. Otherwise the rest of the trip costs… nothing! An American airline + customer service? It’s almost an oxymoron these days. However, United Airlines managed to impress me enough to keep me subdued through our recent 3+hour delay due to maintenance issues last Wednesday at Dulles Airport. Wednesday evening, around 5:30pm. We were already on the runway preparing to take off and then – of course, some maintenance light flashes on in the cockpit, and then we all sat around on the tarmac for another hour while we hear the crews banging around with tools below. Then, we were sent back to the gate to wait a little more – except we’re allowed to stand up and mill about the plane. Meanwhile, the flight attendants kept us regularly updated, which was nice, although we still weren’t getting to Los Angeles any faster, which was annoying. Finally, we got sent off the plane back into the airport so I could spend another $25 buying magazines, a book, muffin, candy and a silly Obama Christmas ornament (left) while we waited for another Boeing 777 to be shipped from Chicago. Meanwhile, United kept updating us – and provided us with free soft drinks to keep us hydrated – before we re-boarded and took off around 9:00pm. Customer reps in Los Angeles were on hand to give those who missed connections with hotel vouchers. The next day, we received emails of apologies and offers for 10,000 bonus miles, or a$250 e-certificate off a future flight, or 20% off an international economy ticket. I opted for the $250 certificate. I forgave United Airlines. On My Itinerary: Los Angeles! It was about time I gave tribute to my former home, one that fulfilled the California Dream so many have and so few bother to pursue. Believe me, picking up and moving to California was a great and excellent decision. Los Angeles gets a bad rap from Northeasterners, many of whom actually have never even set foot there. For a while, I, too, didn’t have much interest in L.A. Until one day, while listening to the wintry winds of Boston rattle my living room windows as the record-breaking Blizzard of 2003 blew through, and my thermostat trying desperately to make me broke from heating bills, I decided I had enough. It’s not that the weather really bothered me – I liked snow and natural disasters made of snow that caused the streets to be filled with piles of white powder and work to be closed. Hurrah! But I was tired of working all the time and being among friends – all along the Eastern seaboard – who worked all the time, and then went back to huddle in the cold of their apartments through very long, very gray winters. I wanted to work, then go home to play in the sunshine, year-round. In comes my California dream. Within two months, I had a new car and was driving across our great country towards the Land of Perpetual Sun. It was truly like being on perpetual vacation. You go to work and sit in front of your computer all day – but your lunch break includes sunshine and palm trees! I found an apartment four blocks from the beach, cooled by ocean air; my best friend from high school lived seven blocks over, and we went running along the beach every evening after work. On Saturdays, we’d head to the farmers’ market in Santa Monica for fresh avocados, figs, candy-like strawberries and persimmons. Palm trees lined my street and the view from my living room. I met a boy with a convertible (not Jon – which goes to show a convertible isn’t everything). I discovered $39 full-body massages at The Massage Company. I ate a lot meals al fresco and went to oyster happy hours at Ocean Avenue Seafood. I bought a surfboard, which I never mastered, wore sandals year-round, and stayed tan even though I became very liberal with the 45 SPF sunscreen. We would drive from sea to mountains in 4 hours to go skiing at Mammoth, whose slopes beat any ski resorts back east. My sister came to visit often and we shopped at It’s a Wrap!, a store of lightly-used or never-used clothing from movie and TV sets sold at ridiculously low prices. So why did I ever leave? You know, the regular: job, family, need for people to appreciate my haughty cynicism, desire to see fall colors and first snowfalls, etc. But that doesn’t mean we can’t return for mini-vacations as it always was in sunny L.A. involving oyster happy hours, $39 massages, runs by the beach, avocados at the farmers’ market, the works. California, here I come! It’s actually been an entire year since I’ve been back to my beloved Los Angeles, and even longer for Jon. Now when I go back, I like being super touristy and renting a convertible to cruise around in, even though I was fairly anti-convertible when I lived there. Mostly because my HR told me stories about strange men following her in her open Miada down the I-405, and also because after a while, your face can only take so much whipping from your hair, and then you get lazy about waiting for the top to open up, and then the novelty of the convertible goes away. Last two times in LA, I found a great deal on a PT Cruiser convertible with Deluxe Rent-a-Car, which is a small LA-based company that has slow, but very good, customer service, even post-rental. It was ridiculously, self-consciously fun for all. Jon stayed in LA longer once and refused to drive it by himself, so he traded it in for a regular car with a sturdy roof. This time, we’re going to be practical and rent a standard economy car. Whatever car we end up with will not rise us high in LA society (and not that the PT Cruiser did, either), but it will get us around. A quick search on any travel engine leads me to find great low deals: $15 a day! $18 a day! However, renting a car can get about as complex as buying a house. Like the airlines, the companies get you with their sneaky extras, particularly in the insurance sector. Then there’s equipment: GPS, ski rack, bike rack, baby seat, etc. Then there’s the option of pre-paying your gas for a nice lower price than what’s on the market or you fill it up – but they charge you for an entire tank. Last, but not least, there’s taxes. Here’s how to catch these extra costs and put them back in your pocket. 1. Insurance. Check your own car insurance policy for coverage. If rental cars are included, you’re in good shape. Liability and Personal Accident is usually covered by your current car or health insurance. Personal Effects coverage is another option at the counter, covering whatever might get stolen out of your car. But read the fine print: lost items may not be covered if it’s your fault. Also, your homeowners’ or renters’ insurance would cover that. Then there’s Collision Waiver damage, which transfers responsibility for damage from you to the car rental company – unless you drove illegally or on unpaved roads. In cities like LA where it’s not an ordinary commute without rubbernecking to see at least one accident – it might be a good idea to pay for this portion. Always bring a copy of your insurance policy, as I’ve witnessed many a fight go down at the rental counter. Some credit cards, like Capital One, may also cover insurance on car rentals. Bring a copy of that as well. Note about foreign rentals. 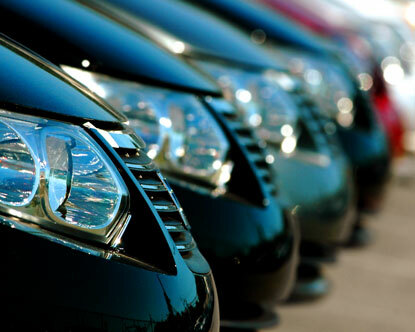 Many will include insurance automatically in the price of the car rental. This can be undone. Check that your coverage extends overseas. Again, some credit cards list which countries they cover. Bring phone numbers. You can save yourself a few hundred bucks that way. 2. Equipment. This can be difficult to negotiate, since the reason you need the equipment is because you couldn’t bring your own. Just budget it into your price ahead of time. If you own a stand-alone GPS, bring it! But if you’re traveling overseas, it’s not really worth spending $100 to download new maps… just rent one. Check that everything works before you leave the lot. 3. Gas. So there’s this new thing going around where the friendly person behind the counter says, “you can pre-pay your gas with us and it will be less per gallon than on the street.” Well, doesn’t that sound nice? But if you’ve only used 1/4 tank, which would have cost maybe $10 at the gas station, you’ll receive a second bill for about $40 after returning your car because they’ve charged you for an entire tank. It’s about as good as people who can’t find a gas station near the rental place and return the car half-full, and the company charges them $7 a gallon to refuel. My tip: just re-gas it yourself. It’s okay if you drive another 15 miles afterwards. Make sure the little needle stays near the “Full” mark and you’ll save yourself a bundle. 4. Tickets. I didn’t mention this before, but just because you got a parking ticket on a rental car does not mean you will get away with it. The car rental company knows who rented the car when the ticket arrived. Usually the company will pay it, and then contact you about it and charge it to your credit card. I learned this when I once got a ticket, but didn’t actually know about it because it fell off my windshield or something – and then the company called me up. 5. Extra driver. I was supposed to be the only driver in Costa Rica because Jon couldn’t drive stick. But then we were upgraded to an automatic car, and then Jon ended up driving the entire time with an exception of one hour that I drove. Still, it cost us another $10 a day. Don’t be high-maintenanced: just stick with one driver. Or else be really careful if the other person is driving. Well, looky at what the airlines of the United States are doing NOW. For flights around 13 different holidays like Thanksgiving and Christmas, they’re charging passengers a “surcharge” of $10 on top of the regular fare. Sure, it’s just $10, but on top of the $15 baggage check-in fee, the buy-our-crappy-in-flight-sandwiches offerings and paying for headsets, and the fact that flights are already priced much higher during holidays, it makes people just want to drive instead and jam up our interstates. American Airlines is guilty of starting the trend, followed by US Airways, Delta, Continental, United and Northwest. The surcharges are tacked onto the base fares during the following dates: Nov. 29-30, Dec. 19, Dec. 26-27, Jan. 2-3, March 14, March 20-21, March 28, April 11 and May 28. Supposedly you won’t even notice it during purchase, but now at least you’ll know why it is the price to fly is creeping up so surreptitiously. Discount airliners Southwest and Jet Blue are refusing to follow suit. Cheap airlines = friendly skies. I’ll be enjoying my blue Terra chips soon. 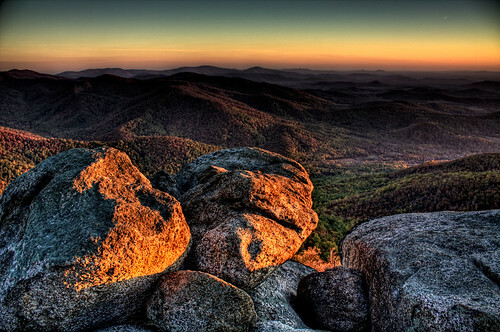 Above: Old Rag Mountain Summit at sunrise. For my upcoming birthday this weekend, as I stumble well into my 30’s, we’ll be proving that I can still be as awesome as I was in my 20’s and hiking up one of the most popular climbs in the mid-Atlantic region. Otherwise known as Old Rag, which I will prove that I am not, it’s a 5.5 hour, steep 2,000 feet ascent with a lot of boulder scrambling, so this is no walk in the woods. I’ve been forewarned by many that it’s not a beginner’s hike and I need to be in some shape, which fortunately my half-marathon training has been put to good use. Not so sure how I’ll fare on upper body strength, hauling myself over rocks. I am also not sure how this compares to Half Dome in Yosemite, which was mostly walking uphill and then downhill for 12 hours with some rocks that were conveniently shaped like stairs, followed by the scary cable-climb at the last 500 feet. So we’ll be heading down to the Shenandoah Valley on Friday for a little car-camping within the national park and then up early on Saturday to beat the crowds and start our ascent as the sun comes up. There are apparently crazies who start at 3 in the morning to catch the sunrise at the summit, but doing after a couple of adventure races that began in the middle of the night and hiking through the dark – well, in my 30’s I’ve also developed a surprising sense of let’s-not-be-stupid-anymore. Apparently the views on Old Rag are phenomenal, and it will be mid-October, just as leaves start to turn. Of course, I’ll post pictures and an update afterwards! There’s an astronomical clock tower in Prague where statues of the Four Evils hang out: Greed, Death, Vanity and the Turk. I suppose back in the day, the Turks and their Empire weren’t terribly popular, but if their food was anything like it is today, there’s good reason for the Czechs to be awfully jealous and resentful of the Turks. But this is not about a restaurant in Prague. Sorry, I didn’t encounter any mind-blowing eating in Prague. We head south, to a more exotic land, where darvishes whirl and carpets fly: the land of Turkey; and more specifically, to a culinary treasure: Ciya Sofrasi. This restaurant lies on the Asian side of Istanbul, and is far from a best-kept secret: many a Western publication has visited, reviewed and raved about it. And now you can see why. The restaurant’s purpose was to uncover ingredients and recipes lost in Turkish history, or to bring secrets from remote parts of Turkey to the great city and incorporates them into some of the most amazing dishes ever conceived. The restaurant sees its fair share of tourists enough to be patient while they try to read the all-Turkish menu. You won’t be finding the typical kebabs and whatnotbabs here. The waiters, in turn, will ask you to trust them as they bring out a selection of deliciousness, such as hummus and falafel and lamb and eggplant dips and fancy kebabs and soups and grain salads, accompanied with pita. The highlight is dessert: fruits, nuts and even tomatoes pumpkin candied into sugary bites with creme fraise. Even if it looks and sounds skeptical and strange, as I thought, it’s a worthy experience that, tragically, can’t be replicated anywhere in the U.S. The restaurant is actually split into two locations across the street from each other, and require a ferry ride from the historic center. A absolute must visit. What really should be one of the Four Evils is Missing Dinner at Ciya. Directions: ask your hotel. I can’t remember.